If you hate drugstore dandruff shampoos, you have some new options for treating an itchy scalp. For many people, winter’s yo-yoing temperatures bring an unwelcome annoyance: dandruff — itchy and flaky and vexing. And if you have a closet of black and navy clothing it’s even more of a nuisance. “The cold weather tends to be an exacerbating factor,” says Arielle R. Nagler, an assistant professor in the Ronald O. Perelman Department of Dermatology at NYU Langone Health. Dandruff shampoo isn’t exactly the chicest product in the shower, but a growing number of upscale brands are offering shampoos and treatments that are more glamorous than what you’d typically find at your neighborhood drugstore. These products, many packaged in subtle bottles, are more herbaceous than medicinal. Sometimes the word “scalp” appears on the bottle instead of “dandruff” to address the issue more quietly. Most use an active ingredient that’s also found in drugstore brands — salicylic acid, pyrithione zinc or coal tar — mixed with natural oils and conditioners. They’re sold at fashionable department stores, and start at $20, which is considerably more expensive than a bottle of Selsun Blue. But there’s no denying that using one feels indulgent. Sachajuan Scalp Shampoo ($28 at Sephora) is typical of the trend. The formula blends ginger and rosemary with salicylic acid for a nondrying cleanser that has a pleasantly herbal scent. It’s become one of Sachajuan’s best-selling products. 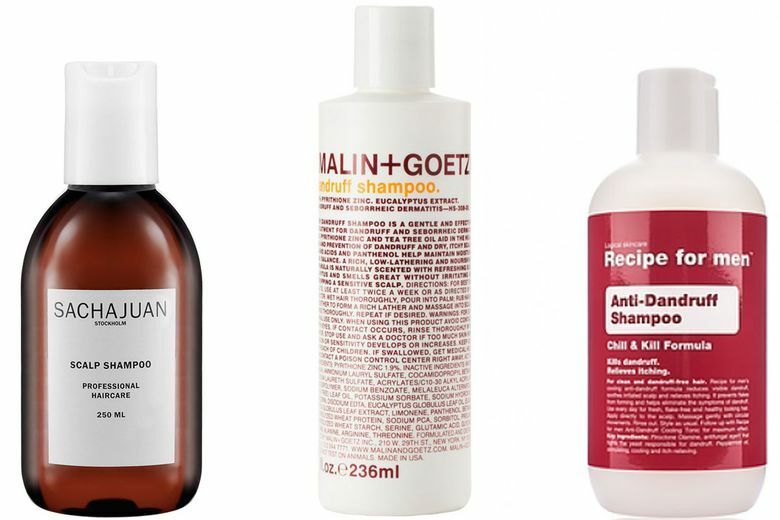 Like its other products, Malin & Goetz’s Dandruff Shampoo ($26 at malinandgoetz.com) comes in an unfussy white bottle. It’s a creamy cleanser composed of, among other ingredients, eucalyptus and tea tree oil along with pyrithione zinc. The texture makes it feel a bit more treatment-like, and it leaves hair feeling softer than may be expected. Recipe for Men Anti-Dandruff Shampoo ($19 at groominglounge.com) was introduced last month. It aims to combat flakes with peppermint oil and piroctone olamine, an antifungal compound that helps prevent the growth of a yeast that can lead to dandruff. 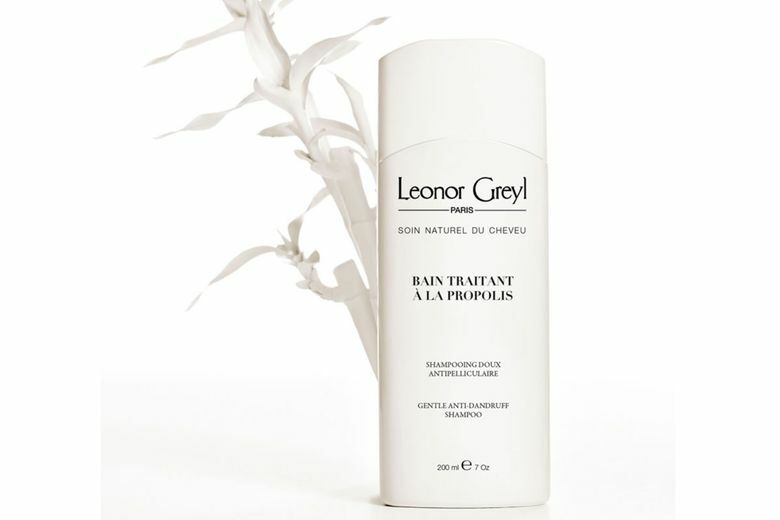 Leonor Greyl Bain Traitant à la Propolis ($46 at leonorgreyl-usa.com) is especially mild, so it’s well-suited for sensitive scalps. Although it’s expensive, the company says sales have more than doubled since it was introduced three years ago. In February, Oribe’s Serene Scalp dandruff collection ($44–$48 at oribe.com) debuted. It’s unmistakably upmarket, with packaging in a muted shade of pink that’s reminiscent of Gucci’s latest perfume bottle. 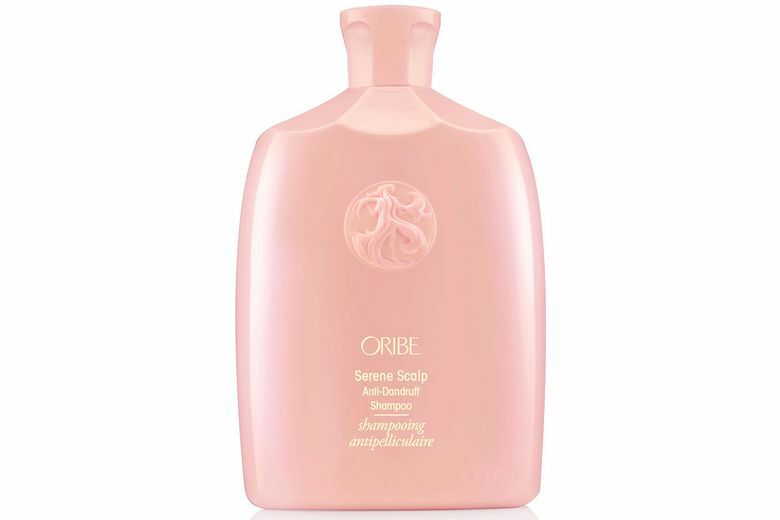 The shampoo is infused with Oribe’s distinctive Côte d’Azur scent, a perfume-y mix of bergamot, jasmine and sandalwood.